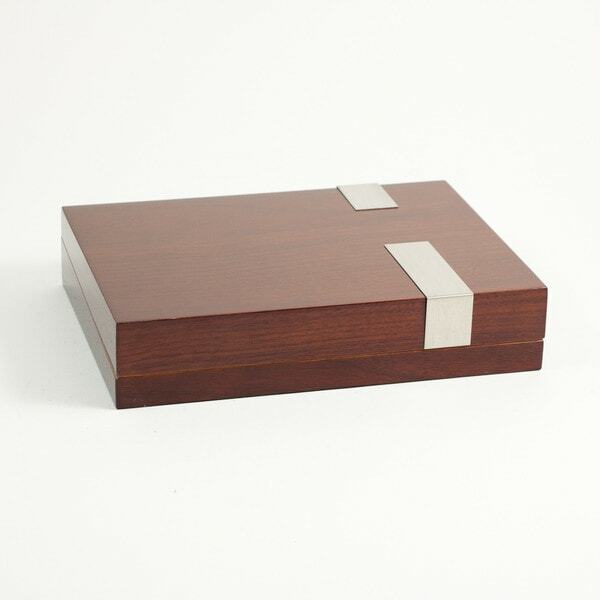 Keep up to 12 cigars at perfect humidith in this handsome humidor that features laquered walnut construction, a Spanish cedar lining and accents of stainless steel. This humidor features a hygrometer and magnetic humistat. Includes humidor box, hygrometer and magnetic humistat.